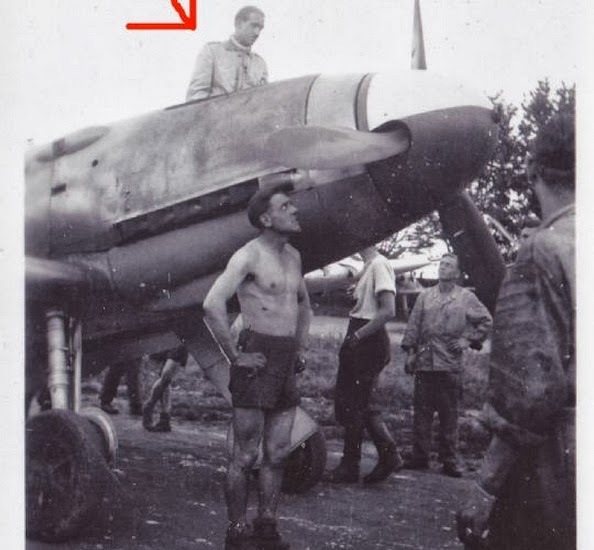 Forward fuselage of one of Galland's 'custom' Bf 109 Friedrichs with the cowl MG 17s replaced with two 13mm MG 131 machine guns - the 'bulge' aft of the cowl gun trough is to accomodate the breech of the up-gunned MGs with the cartridges being ejected sideways. 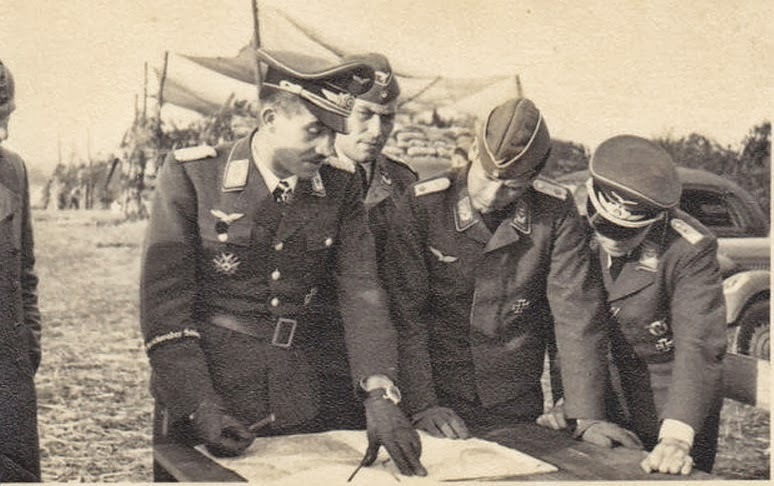 Einsatzbesprechung (pre-sortie briefing) with the Gruppenkommandeur of III./JG 26 Major Adolf Galland (links/left) some time during August 1940. Second from the right is Oblt. Gerhard Schöpfel, Staffelkapitän of 9./JG 26 at the time this image was captured, awarded the RK on 11 September 1940. Schöpfel survived the war with some 45 Luftsiege.